and even worn John Muir’s beard and hat! So thank you and Happy 21st Birthday to the John Muir Award. Cath is delivering the John Muir Award with Ellie from Shropshire Wildlife Trust. 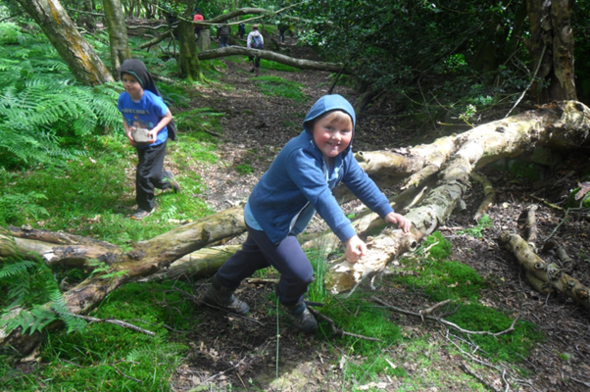 This term they are out and about in the AONB with Farlow Primary School and Clunbury Primary School. The pupils and teachers from Farlow have explored Catherton Common Nature Reserve and visited Upper Lea Farm. Activities have included small mammal trapping and recording. Children from Clunbury School have explored Clunton Coppice Nature Reserve, taken part in a river study session and visited Bryn Mawr Farm. As part of their farm visit they completed a hedgerow survey, and next month they’ll be planting up any gaps they found in the hedgerows. Willow from the Shropshire Hills Discovery Centre has been coppiced and taken down the road to be used in soft revetments along the River Clun. A walk through the Onny Meadows by Clun Catchment Officer, Alison Jones, sparked this simple idea. Sourcing local material for revetments was proving difficult, and the willows were in need of coppicing and perfect for revetments. 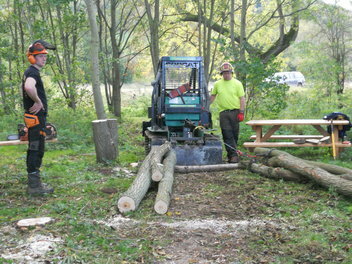 Coppicing has also improved the structure and diversity of the woodland at the Discovery Centre. Twigs and leaves (brash) have been left to provide cover and deadwood habitat for small mammals, birds and insects. Smaller branches have also been piled up for den building. The large, long straight timbers have been taken to the River Clun. At sections of eroding bank, the timbers will be driven into the riverbed and backfilled with brash and smaller woody material. The willows should root into the riverbed, and grow into young trees, to help stabilise the bank. 5 or 6 sections are planned for this autumn along the River Clun, to add to those installed in the last two years. 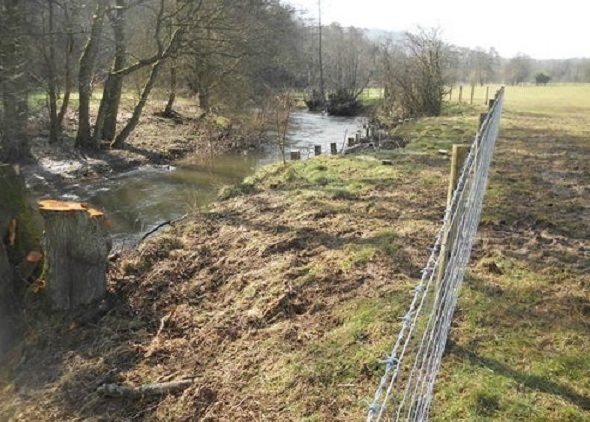 This forms part of our River Clun Recovery Project to improve the health of the river. We are part of a new national project to conserve and enhance the heritage of upland commons and commoning in England. The Foundation for Common Land is leading on this five year project. Working together with Dartmoor, the Lake District and the Yorkshire Dales, we will address the viability of commoning and the value of commons to society. 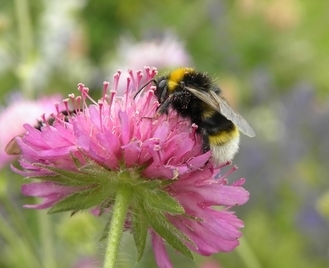 The project has three broad aims - to enable collaborative management, to reconnect people with commons, and to improve public benefits. 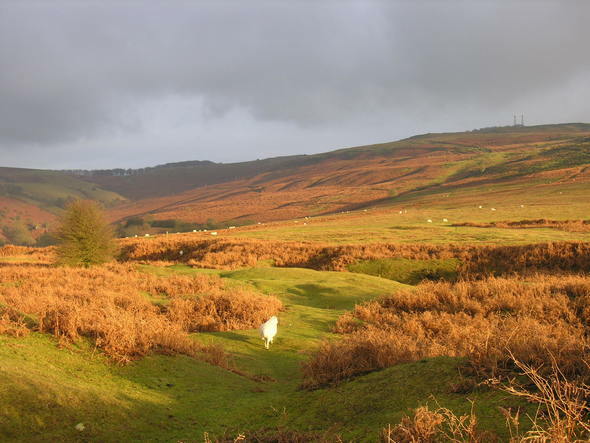 Here in the Shropshire Hills, we have set up an area group of stakeholders from various commons, including the Long Mynd, Clee Liberty and the Stiperstones. The project will focus on these three main commons. There will also be plenty of opportunities to involve people from other commons. For further information about the project see http://www.foundationforcommonland.org.uk/news/546-our-common-cause-our-upland-commons or contact Cath Landles at the AONB Partnership on 01743 254742. With our Landscape Partnership Scheme in its final year, the team invited all who have been involved over the five year to join them at a celebration event. Over 80 people attended. Presentations, case studies, an exhibition and sites visits gave participants an insight into the breadth of the Scheme and all that it has achieved. Few people would argue that tourism isn’t an important part of our local economy. Research from 2011 shows that tourism supports over 4,000 local jobs,1 and turns over more than 2.1 million pounds2. It’s likely that Brexit, the exchange rate, and global issues have also pushed up ‘staycations’ and overseas visitor numbers in the Shropshire Hills. That’s certainly the case nationally, and some local businesses are seeing a noticeable increase in customers from the USA and Oz. 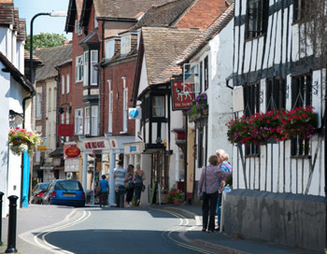 The combination of our market towns and surrounding hills are a big attraction for our visitors. Record numbers are visiting our best known places, and others thought of as ‘less well known,’ are also becoming more popular. We are working on a new plan with many of the organisations that support tourism locally. This work is being led by the Shropshire Hills Destination Partnership with input from local businesses, town councils and tourism groups. The main aim of the plan is to manage the balance between the area’s popularity and its impact on our outstanding landscape. If you’d like to read a copy of the draft click here http://www.shropshirehillsaonb.co.uk/aonb-partnership/sustainable-tourism-charter/. The plan will support our renewal of the AONB as a Europarc, recognised for the quality of its management. The Shropshire Hills Shuttle Bus service ran for 44 days this year and carried over 3,500 passengers. August was our busiest month, averaging 100 passengers per day. July and September averaged over 80 passengers per day. 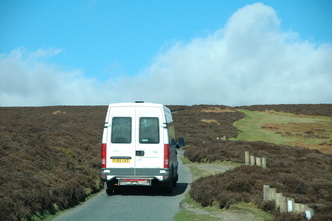 The Shuttle Buses are supported by Shropshire Council and the National Trust. Funding is in place for 2018, and we are working to secure longer term funding. High praise from passengers shows that the service is valued by local people as well as visitors to the area. With Jenny Steel, plant ecologist & wildlife gardening specialist. Thursday 23rd November, Bugs, beasts & birds. Hyssington Village Hall (SY15 6AT). Joining is easy and costs from £2/month or £25/year. 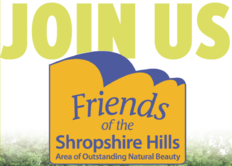 Your subscription helps to support local conservation projects, through our Shropshire Hills AONB Conservation Fund. Members also recieve an invitation to the annual summer Friends event, discount at Cotswold Outdoor shop and online, and regular news and event updates. Membership also makes a great gift! 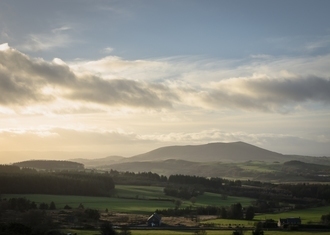 We work to help conserve and enhance the Shropshire Hills Area of Outstanding Natural Beauty. Shropshire Hills AONB is one of 46 AONBs in the UK. The AONB Partnership is hosted by Shropshire Council and funded also by Defra, Telford & Wrekin Council and project funders. This email from Shropshire Council (or one of our partners/service providers) has been delivered through the Govdelivery system. It's a free service so don't forget to keep your preferences up to date. You can change these at any time by using the green buttons at the bottom of this email. Please do not reply directly to this email as it will not get seen. If you do have any general queries or suggestions about this service, please email shropshirehillsaonb@shropshire.gov.uk using "News and Views" in the subject line and we'll get back to you.